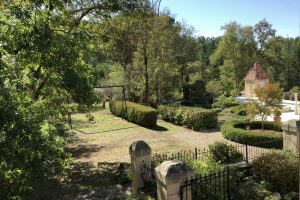 Our 18 acre private estate is situated on the outskirts of the pretty village of Saint-Front-sur-Lémance in the heart of the Aquitaine region. 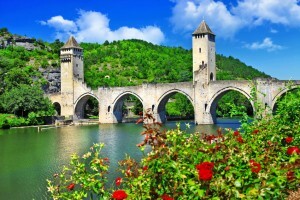 The peaceful and unspoilt region in France’s south-west corner is characterised by ancient forests and historic chateaux; rivers run through cultivated valleys and poppy and sunflower fields intermingle with some of France’s finest vineyards. The stunning and secluded environment makes it a perfect location for weddings, family and friend get-togethers; even as a filming location. Within the estate grounds, there’s plenty to explore. Guests can while away the days exploring the gardens, collecting fruit from the orchard, boating, wild swimming in our private lake, or paddling in the mill stream. It’s the perfect French countryside retreat. It’s also a heavenly place for children. There are so many hidden nooks and corners for them to explore, build a camp and have the adventure of a lifetime. The estate is bordered by the rivers Lemance and Briolance. Here you can spend a day basket catching crayfish, fishing or tickling trout. 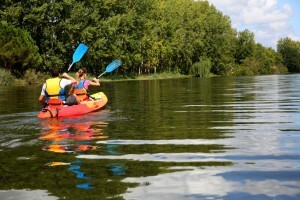 There are also plenty of excellent hiking and walking trails that wind alongside the river. Don’t forget to pack your hiking boots! 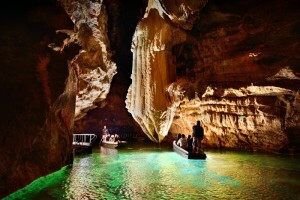 You’ll need a car to visit some of the region’s best beauty spots and cultural attractions. But to explore the local area, we recommend you hire a bicycle (we can organise that for you). There’s no greater pleasure than a meander along the beautiful country lanes, enjoying the fresh countryside air and idyllic scenery. The little village of Saint-Front-sur-Lémance is literally just two minutes away. Here you’ll be able to buy fresh bread, croissants and other essentials. A short 10 minute drive will take you to the main town of Fumel, where you’ll find many large supermarkets, restaurants and shops. In fact you’re spoilt for choice, for within 20 minutes there are several small towns with stores and markets for easy shopping. 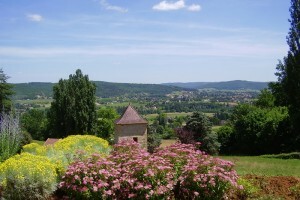 The region is famous for its bastide towns, hilltop villages and chateaux. 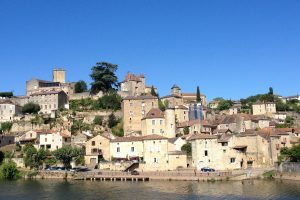 You’ll find plenty of cultural attractions worth a visit in easy distance of Le Seguinet: Belves, Monflanquin, Monpazier, Villefranche-du-Perigord, Villereal, Issigeac and Chateau de Biron to mention just a few. The beautiful and historic town of Sarlat (45 min. drive) is a great place with a full cultural agenda, including street theatre, markets, art exhibitions and traditional festivals. For food and wine lovers the region is heaven on earth, with its rich culture of gastronomy and wine. The land of foie gras and truffles, of wild mushrooms ‘cepes’ and cheese, and the famous vineyards of Bergerac, Dordogne and Cahors. Follow the “Route des Vins” in the Lot and Dordogne valleys, take a vineyard tour, or spend a day wine tasting, and then bring a bottle or two back to enjoy at Le Seguinet. Of course, eating out is part of the French way of life and you’ll find plenty of excellent restaurants to try out during your stay. From budget bistros where you can enjoy a three course menu du jour (lunch menu) from around 12 euros (including wine), to haute-cuisine dining at some of the region’s top restaurants, including Michelin star restaurants in Pujols (40 mins) & Agen (40 mins). 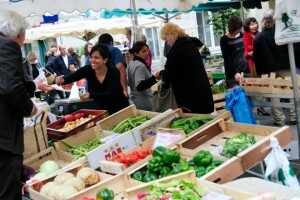 Just as wonderful as eating out, is wandering through the local markets to shop for local, fresh produce to take and cook at your luxury home-from-home in Le Seguinet. There’s nothing more delicious than a simple lunch of freshly baked bread, a local cheese and pate, and a bottle of wine. For family groups, we recommend a visit to Parc-en-ciel (15 minutes drive), the tree-top adventure park or a little further afield, you can visit the amusement theme park Walibi Sud-Oueste on the outskirts of Agen. If golf is your sport, there are several excellent courses within a 45 minute drive from Le Seguinet. The climate is temperate with mainly mild winters and glorious spring months, when wildflowers and orchids can be found growing in abundance in the meadows. The warm summer months runs late into autumn, with a magnificent blaze of gold and orange. 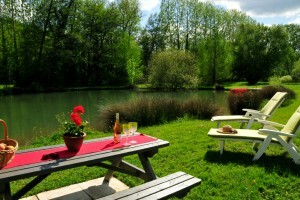 Arriving at Le Seguinet is so easy with Bergerac airport only an hour’s drive on a simple and easy to follow route. Bordeaux and Toulouse are also within an easy drive. Our guests fall immediately in love with the area, just as we did nearly 30 years ago when we first visited. We’d love to share our favourite places and tried and tested recommendations with you. We’re happy to help you plan your holiday activities and recommend cultural and natural places to visit.